Astrophytum ornatum is not only prized for its “ornate” spines, but it is the fastest-growing and easiest to care for of the astrophytums. 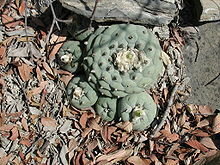 Along with astrophytum capricorne, it is also the largest, potentially stretching up to four feet in height and half a foot in diameter. 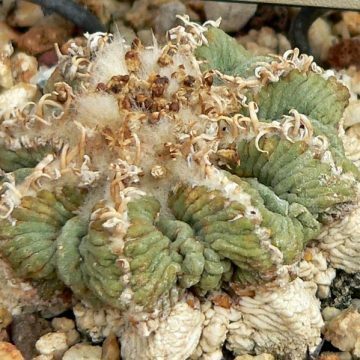 The root of the name astrophytum refers to the stars, as in the word “astronomy,” which reflects a somewhat star-shaped appearance that is characteristic of cacti in this genus. 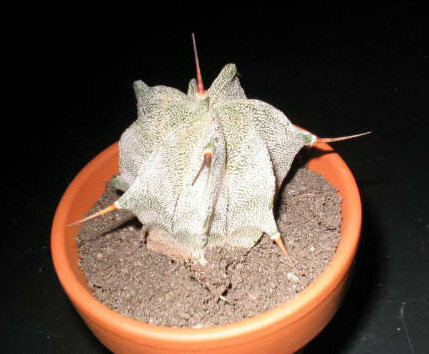 Like its cousins, asterias, capricorne and myriostigma, it is from Mexico, particularly Queretaro and Hidalgo. Ornatum may be grafted onto faster-growing root stocks such as pereskiopsis, San Pedro and blue myrtle, although its columnar shape makes it more likely to be grown on its own. 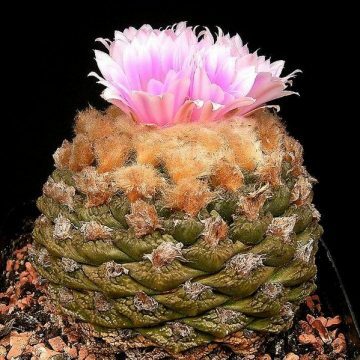 An alkaline, porous soil will provide necessary drainage, and watering from below potted cacti so the water wicks up through the soil is recommended. This plant requires moderate watering, but only during the summer when it is in active growth. Otherwise, it should be kept dry. 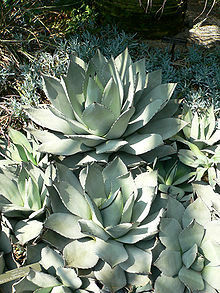 It is frost hardy to about 20 degrees Fahrenheit and prefers light shade. 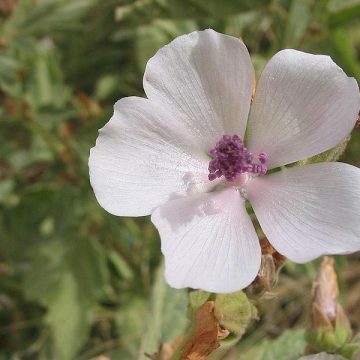 Its sweet-scented flowers are yellow, measuring approximately 2.5″. Once the buds have formed, half-strength fertilizer can be applied to encourage growth.